The documentary New York Times Reporting: Arctic Rush, written and directed by Craig Duff, and reported by Duff with Andrew C. Revkin, Steven Lee Myers, Simon Romero and Clifford Krauss of The New York Times, has won this year’s Science-in-Society award, which is conferred by the National Association of Science Writers (NASW). The documentary was broadcast in 2005 and 2006 by both the Discovery Times channel and the Canadian Broadcasting Corporation. View the opening minute of the program here (must have quicktime player). Broadcast: Craig Duff with Andrew C. Revkin for Arctic Rush, a collaboration of The New York Times, the Discovery Times Channel and the Canadian Broadcasting Corporation. The documentary examines how the melting of the Arctic is affecting travel, business opportunities, and international diplomacy. The judges commended the piece’s solid on-site reporting, and its very thorough analysis of multiple sources of information. In this still from the film, Borge Iversen and his son fish in the frigid waters above the Arctic Circle off of Norway’s Lofoten Islands. Iversen worries the oil industry’s push for exploration and transportation in the Arctic seas may spoil the waters there. 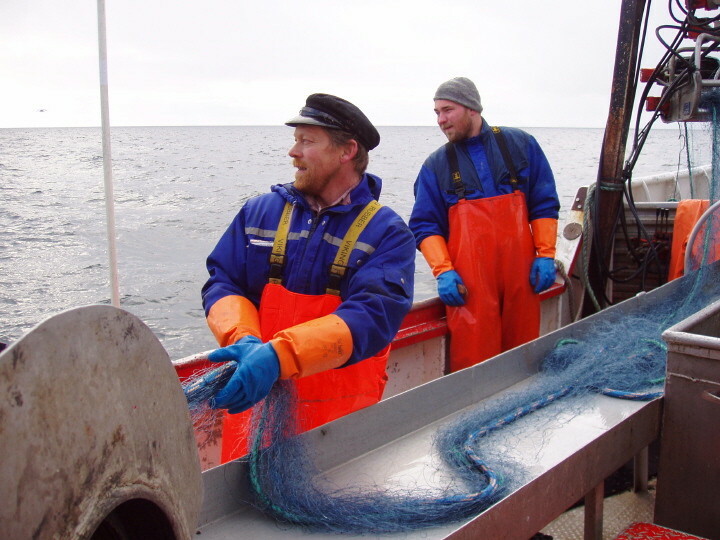 He also believes global warming may impact Lofoten’s cod fishery, one of the world’s most active. To read the articles in the New York Times series, click here (must have Times Select service).